Harmony Gold and CineMotion 21st Entertainment has released the full details on the August 2014 home release of Henri Charr's “The Big Goofy Secret of Hidden Pines” and on the heels of the DVD release “The Big Goofy Secret of Hidden Pines” was awarded the Dove Foundation’s “Family Approved Seal,” recognizing its content suitable for the entire family ages 12 and up. The Dove Foundation is a non-profit organization whose mission is to encourage and promote the creation, production, distribution and consumption of wholesome family entertainment. 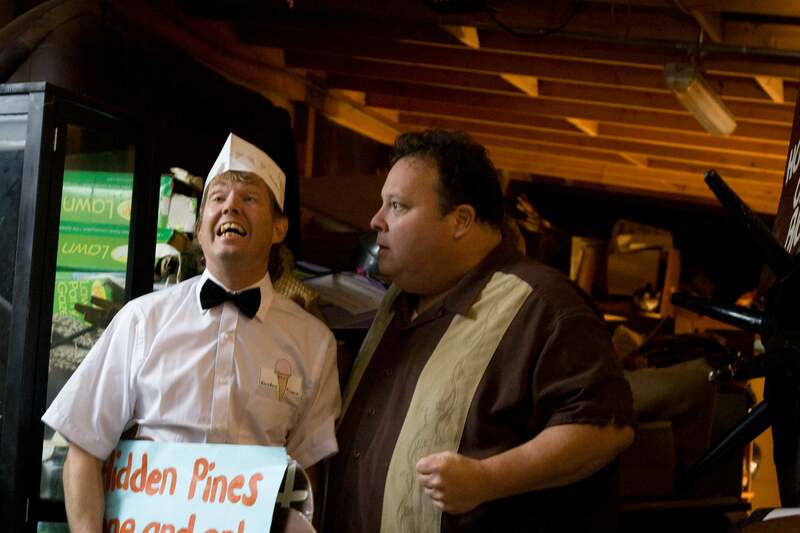 “The Big Goofy Secret of Hidden Pines” arrives this 2014 summer season on DVD from Harmony Gold and CineMotion 21st. Home Entertainment Group. In the epic entertaining fun filled film from filmmaker Henri Charr, about a baby sasquatch now becoming a teenager and experiencing life as an outsider in the small town of Hidden Pines. 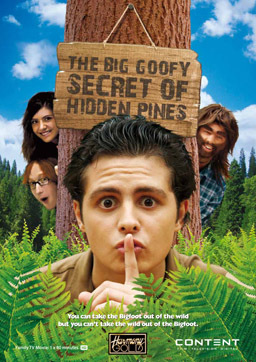 Available in August, just in time for summer movie watching, Harmony Gold and CineMotion 21st Entertainment will release “The Big Goofy Secret of Hidden Pines,” featuring the full film at all Walmart Stores nation wide. Leading an all-star international cast, of great actors and actresses Don Danielson (“Pure Love” “Step One Breathe” “The Funny Man Tv Series”), Mario DeGasperi (“Monday Nights at Seven”, “The Invisible Bum”), Heather Howe (“Coyote Requiem”, “Magic Hour”). The screenplay is written by Sreescanda and Frank Agrama. The D.P. is Gustavo Brum.The film is produced by Jess Mancilla and directed by award winning Henri Charr. One morning, after an earthquake, two campers, HOWARD and JILL are hiking through the picturesque countryside of the lush forests of coastal California when they hear a plaintive WHIMPER coming from the underbrush. They rush to investigate and find to their surprise, a BABY SASQUATCH! TWELVE YEARS LATER, IN THE SMALL TOWN OF HIDDEN PINESŠ The Sasquatch is 14 now, living with Howard and Jill and their daughter ALLY. They¹ve named him BERTIE, and have raised him like a human child. Bertie is exceptional, not just that he¹s the only Bigfoot, but the smartest in his class, a natural athlete, inquisitive, but also an incorrigible prankster. Secretly, though he yearns to find out who he is. He has a cache of books about Bigfoot and maps plotting where he was found by Howard and Jill. 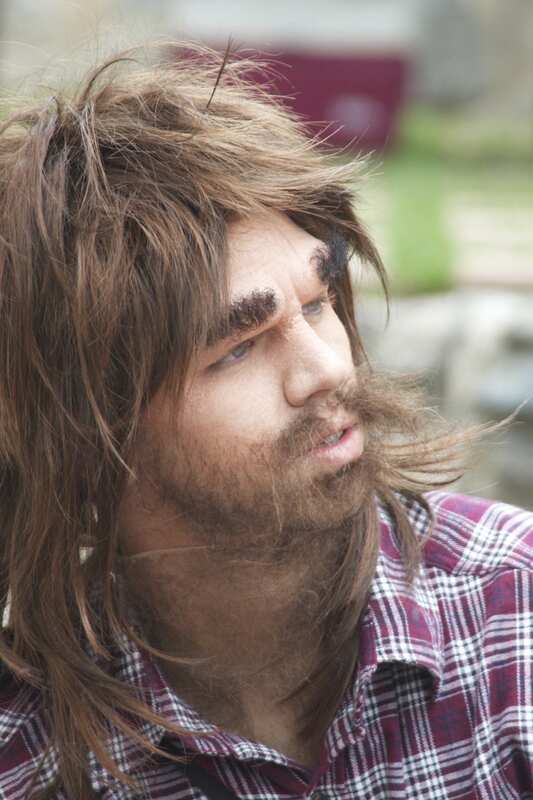 Is he the only Bigfoot left? Are there others like him? Howard is the head of the City Council. He has brought the whole town in on their secret to protect Bertie and no one new is allowed to move into the town, and strangers are treated with the caution of foreign invaders. Which is why the town goes on RED ALERT! when DUCKOWSKI, an inspector for the Bureau of Infestation Tree Entomology Service (BITES) arrives to investigate an infestation of beetles that are attacking the pines. He has a federal mandate to stay in Hidden Pines for as long as it takes to eradicate these omnivorous marauders, and what¹s worse he¹s brought his son DILLON, and is enrolling him in school, the same class as Bertie! and his wife BREE, an alcoholic wannabe society girl who wants her husband to make more money so she can return to the lights and glamour of New York City. The mayor conspires to have Duckowski ³discover² Bertie. Duckowski realizes how rich and famous he would be as ³the man who discovered the first Bigfoot² and works with Mayor Resnik to set a trap for Bertie. And so begins a hilarious cat and mouse chase! Slapstick meets screwball for a comedy of near misses.